..... Balance Trading .....: Situation in Egypt is the Wild Card for Tomorrow. 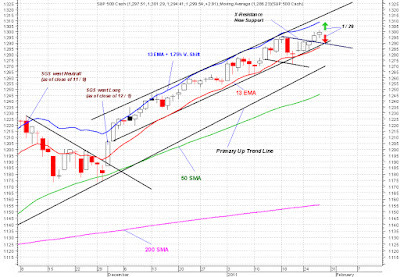 Externally and internally, Market looks excellent. If things get nasty in Egypt over night, Market could sell off tomorrow down to lower 1290's to mid 1280's. I think that dip is an excellent opportunity to add more long positions. 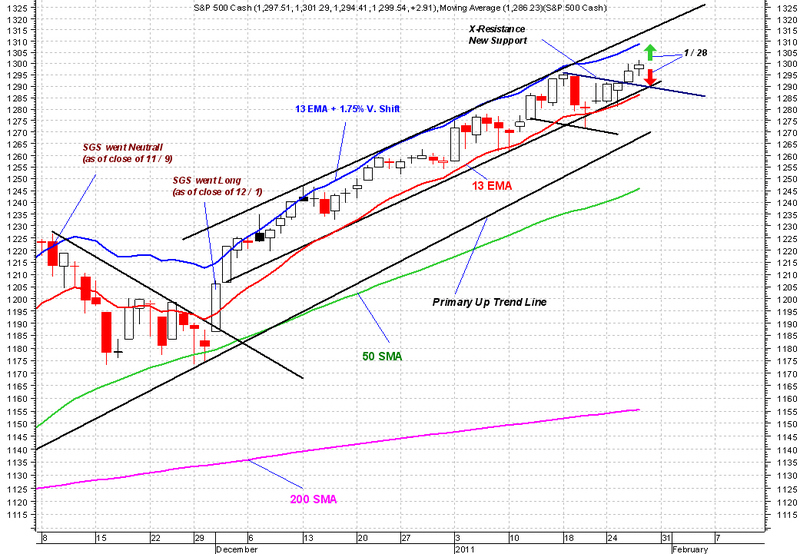 Personally I think Market will rally possibly to SPX 1314. I'm planning to unload my ST and IT into that rally if we get it.